My sister introduced me to a TV Program starring Zonya, somewhat of a a lifestyle/eating coach. On her show she cooks up easy and healthy meals, and after watching one show with my sister (the only time I’ve watched it…I’ll be honest), I got online and picked out some of her recipes to try. Almost a year later…I have finally gotten around to cooking up her Ratatouille recipe for the first time! It was fantastic, and loved by everyone, except my hubby (he’s the pickiest eater of the group…it takes a lot to impress)! We served it over noodles, even though that’s not the proper way to eat it…and it was delicious! Soooo simple, and packed full of veggies! 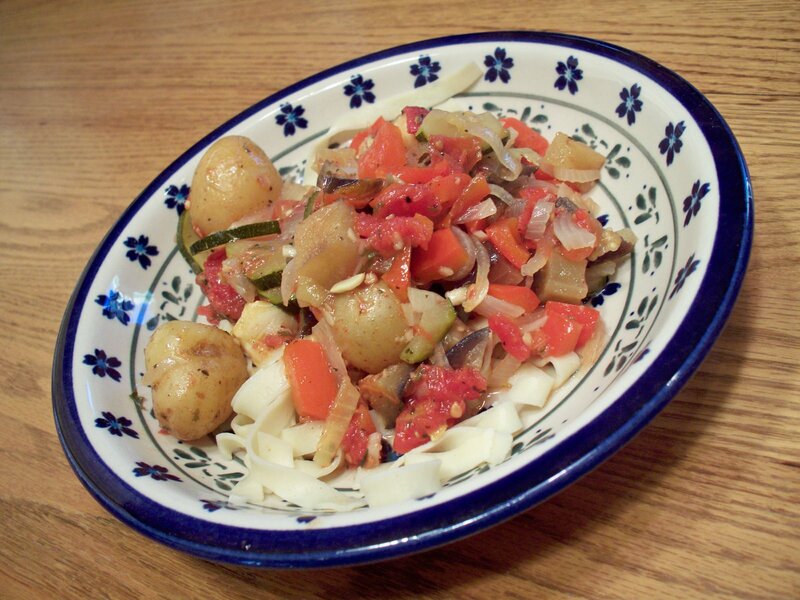 Have you ever made Ratatouille before? If not…try it! Did I tell you that I checked out her cook book from the library last week? I've been trying to cook from it this week… we did oriental noodle toss yesterday – very quick and easy. Today was Kickin' Chickin – obviously not one for you… but so far, I really want this cook book for myself. Maybe I should just keep checking it out till I know which recipes I want and I can get them on line!! 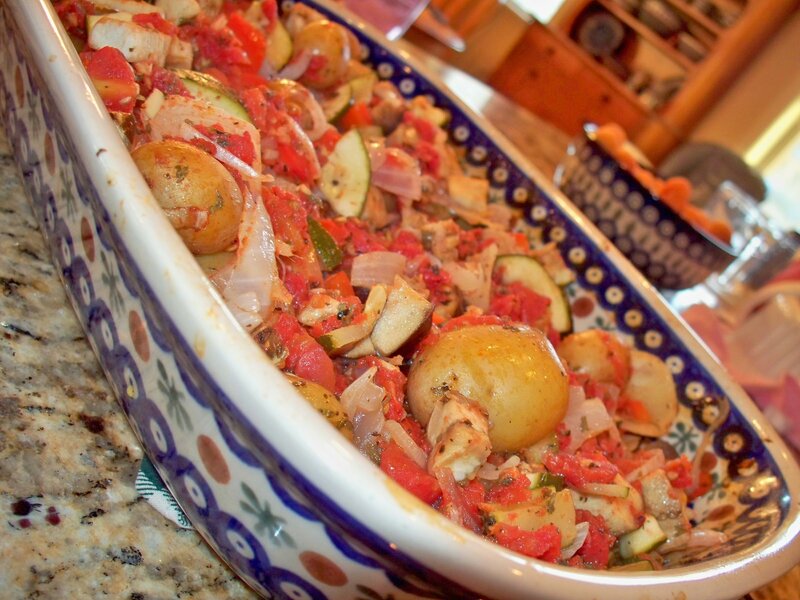 But I'm impressed by the ratatouille – maybe I'll cook that one up too….